Odisha‬ capital Bhubaneswar tops Smart City list announced by the Central government on Thursday. Urban development minister Venkaiah Naidu announced the list of the first 20 cities to be developed as Smart Cities, with Bhubaneswar topping the list and Pune and Jaipur coming in at the second and third places respectively. There were 97 cities in the Smart City Challenge Competition. 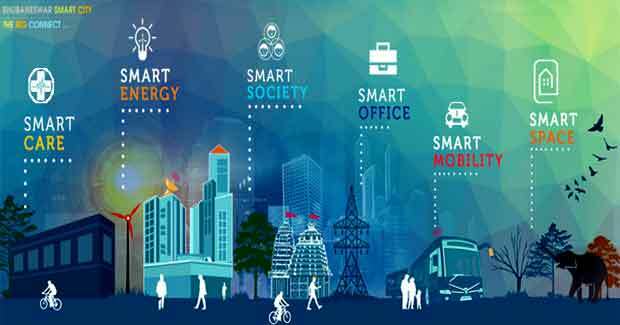 Bhubaneswar, Pune Jaipur, Surat, Kochi, Ahmedabad, Jabalpur, Visakhapatnam, Solapur, Davangere, Indore, New Delhi (NDMC), Coimbatore, Kakinada, Belgaum, Udaipur, Gauhati, Chennai, Ludhiana, Bhopal are among 20 cities selected for the Smart City project. “There are five capital cities among the 20 smart cities chosen,” Naidu said. “A consortium of only Indian companies was chosen for plans of nine cities from the 20 cities chosen,” he added. “The states selected cities and sent us a list of 97 names. There was a competition among these names and 20 cities have been selected,” Naidu told a news conference. “Bottom up approach has been the key planning principle under Smart City Mission,” he said. “The Smart City Challenge Competition was as rigorous and demanding as the civil services competition conducted,” Naidu quipped. In the subsequent years, the government will announce 40 cities each to be developed as Smart Cities as per Prime Minister Narendra Modi’s plan to develop 100 Smart Cities in the country.